When will be Lexi & Lottie: Trusty Twin Detectives next episode air date? Is Lexi & Lottie: Trusty Twin Detectives renewed or cancelled? Where to countdown Lexi & Lottie: Trusty Twin Detectives air dates? Is Lexi & Lottie: Trusty Twin Detectives worth watching? Being identical twin sisters is an asset for 12–year–old detectives Lexi and Lottie, especially when it comes to cracking crimes in their country town of Appleton and its Animal Park. Everyone knows two heads are better than one! Add a little twin telepathy to the mix, a pet mouse with a nose for clues, and their smart comic journalist friend Fred… and you have a dynamic crime solving combination that leaves local crims scratching their heads… how can these kids out–smart them?Lexi, Lottie, Fred and Mozart the mouse leave no stone unturned when it comes to solving crimes in their town… such as missing persons, animal theft, art fraud, diamond heists, animal poaching, sabotage and much much more. Grandpa is usually around when a little advice is needed, and Mum and Dad are always supportive of their daughters.No misdeed is too minor and no animal caper is too crafty for this dynamic detective team. 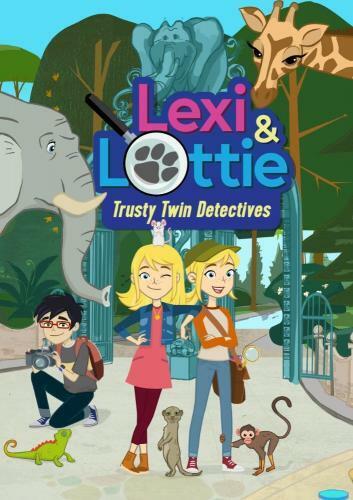 Lexi & Lottie: Trusty Twin Detectives next episode air date provides TVMaze for you. EpisoDate.com is your TV show guide to Countdown Lexi & Lottie: Trusty Twin Detectives Episode Air Dates and to stay in touch with Lexi & Lottie: Trusty Twin Detectives next episode Air Date and your others favorite TV Shows. Add the shows you like to a "Watchlist" and let the site take it from there.